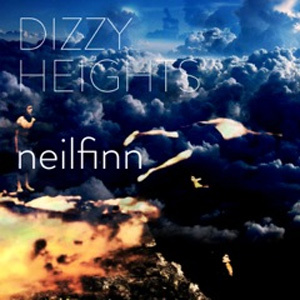 Finn’s ‘Dizzy Heights’ will be released on his own Lester Records through Kobalt Label Services. Finn launched the album today with a webcast from Auckland and a preview of the album track ‘Divebomber’. The album was co-produced by Dave Fridmann (Mercury Rev, The Flaming Lips, Tame Impala) the album was recorded between Finn’s Roundhead studio in Auckland and Fridmann’s Tarbox studio in upstate New York. Finn’s previous two solo albums were ‘Try Whistling This’ in 1998 and ‘One Nil’ in 2001. The Finn Brothers (Neil and Tim) released ‘Everywhere Is Here’ in 2004. The last Crowded House album was ‘Intriguer’ in 2010. Then in 2011 he released Neil, wife Sharon and Sean Donnelly released the collaboration ‘Pajama Club’. Split Enz last studio album was ‘See Ya ‘Round’ in 1984. Neil was also heard in 2012 in the closing credits of Peter Jackson’s ‘The Hobbit: An Unexpected Journey’ with the song ‘Song of the Lonely Mountain’. ‘Dizzy Heights’ will be released in February, 2014. Next PostMelbourne FC: DeeTV Bloopers!